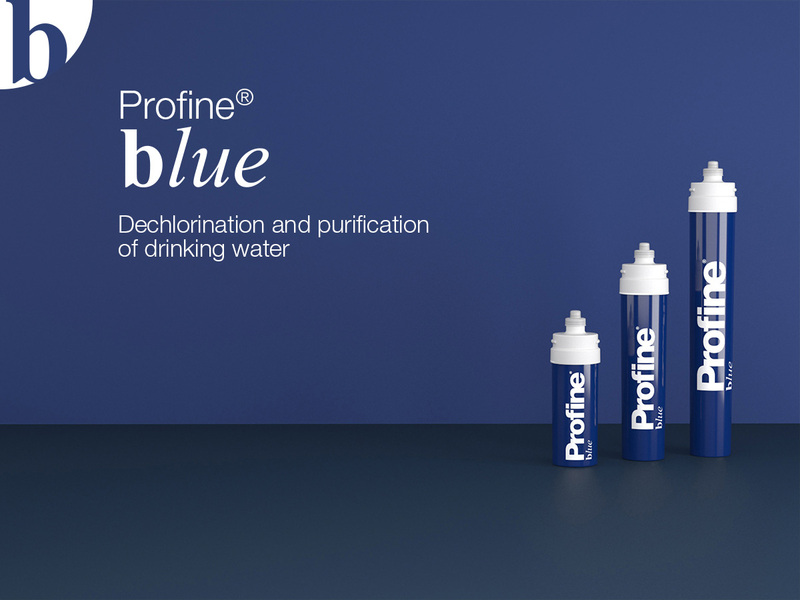 PROFINE® BLUE removes bad taste and odour, reduces turbidity, chlorine, dirty and particles it has a 5mc nominal filtration. It is a cartridge with an activated Profine® Carbon Block technology in compliance with the Italian Ministerial Decree DM/25/2012. 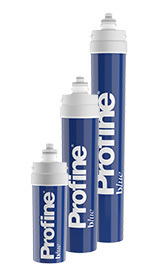 PROFINE® BLUE is a quick-connect disposable cartridge with Profine® Carbon Block technology filtration; filtration of 5 microns. Activated carbon filter for dechlorination and clarification of drinking water, according to EU Directive 98/83/EC. 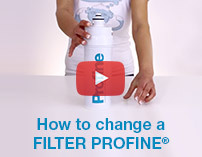 The filtration reduces chlorine content, organic compounds, odours/off-tastes from water. If used in equipment for drinking water treatment, the equipment must comply with the standards of law for this category of treatment systems. Installation: upright or horizontal, as preferred. * Capacities may vary based on incoming water and flow rates.